Technical analysis refers to a security analysis discipline designed to forecast or predict the direction of prices by studying previous market data including price and volume. The technical analysis process also uses trading rules and models that are based on volume and price transformations like moving averages, relative strength index, intra-market and inter-market price correlations, regressions, stock market cycles and business cycles. The process can also be carried out by recognizing chart patterns. Technical analysis also works effectively in analyzing volume, price and any other essential market information. It is different from fundamental analysis which covers the tasks of examining the facts of the market, commodity, currency and company. Technical analysis also focuses more on studying the market demand and supply despite the numerous tools that it uses. The market demand and supply are being studied to figure out market directions and trends in the future. It also aims to fully understand market emotions by closely examining the market itself instead of its components. Gaining a complete understanding about all the advantages, strategies and limitations linked to technical analysis is a major help in your attempt to obtain a new set of skills and tools designed to transform you into a more effective investor or trader. Most technical analysis certification holders or experts believe that market psychology can influence the trading process in a manner which allows them to predict the rising and falling of stocks. 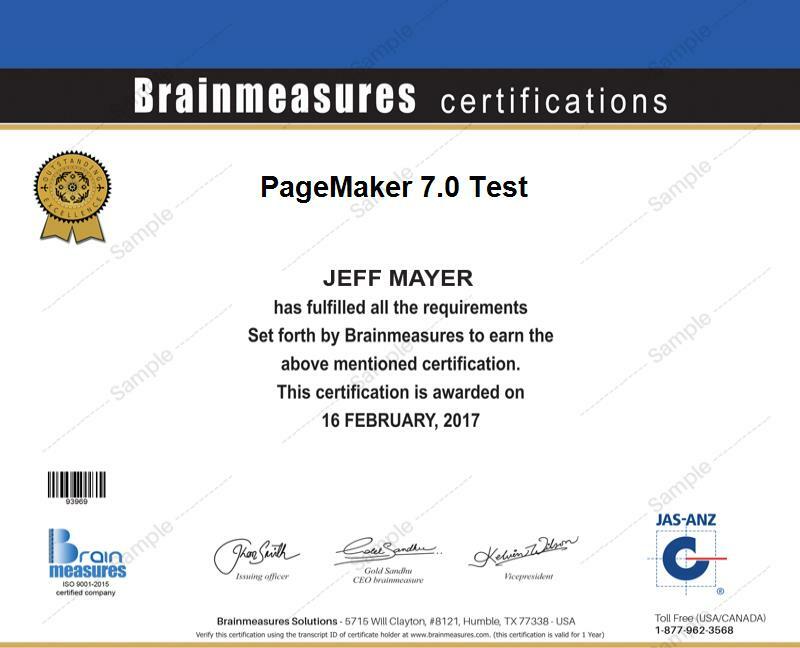 If you are an aspiring technical analyst, then be aware that the technical analysis certification program which is now offered by a reputable online certification company called Brainmeasures can help you in achieving your dreams. Enrolling in the technical analysis course offered by Brainmeasures is one of the wisest moves that you can ever take as this is extremely useful in your attempt to enhance your level of knowledge about the field while also honing your skills in accurately predicting market trends. The comprehensiveness of the technical analysis training which you can receive from enrolling in the certification course can also give you a clearer idea about how you can use the many tools that are now available for certified technical analysts in analyzing the market. Your knowledge will also be tested through the technical analysis exam. This technical analysis test will serve as an evaluation of what you have learned from the course and if the level of your knowledge is already enough to make you worthy of holding your certificate as a technical analyst. The technical analysis certification course is proven to be really beneficial to almost all types of people especially those who are aiming to gather information about the most effective financial analysis tools including trends and charts and use these in examining previous data to detect future trends. Among the individuals and professionals who can receive great benefits from enrolling in the financial analysis certification course are dealers and traders, treasury staff, investment professionals, capital markets professionals, finance staff and financial market professionals. It should also be noted that technical analysis certification holders can expect to enjoy an improved financial stability. It is because various organizations may offer a higher salary as soon as you can show them that you are a certified technical analysis expert. This profession actually allows you to earn around $81,000 per year. You can also expect to earn hundreds and thousands of dollars if you use your knowledge and skills in technical analysis to become a successful trader.